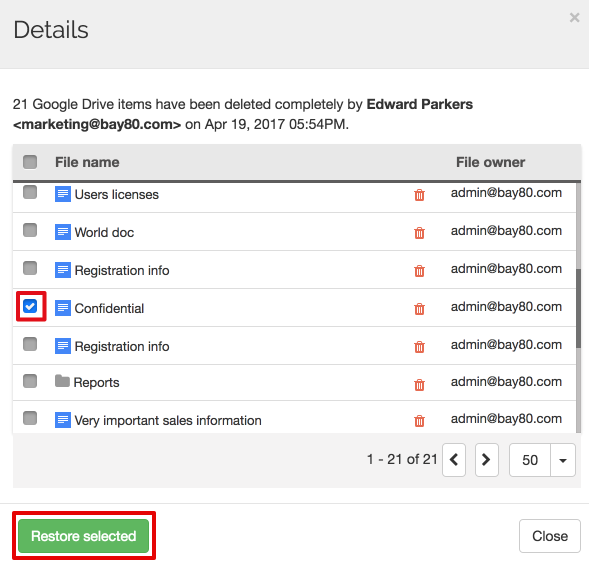 Google Drive: How to Monitor Permanently Deleted Files? 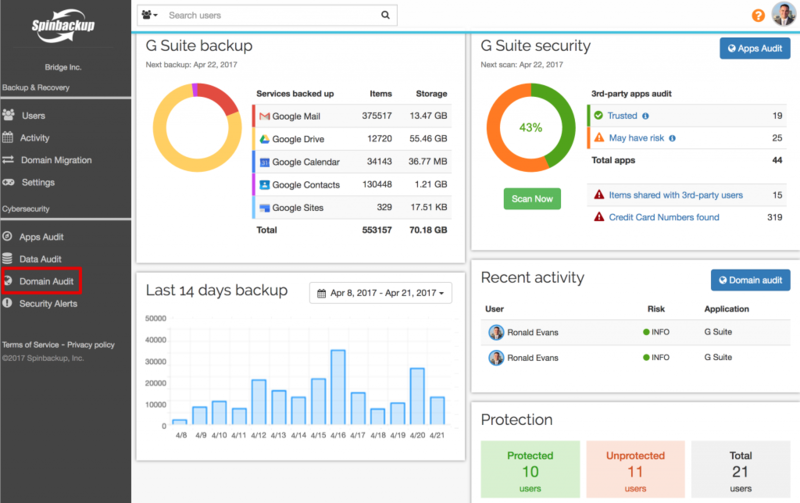 Spinbackup for Business google drive: backup, recovery, migration Google Drive: How to Monitor Permanently Deleted Files? Do you know that permanently deleted Google Drive items are available for recovery only for 25 days and then are gone forever? What if a leaving employee permanently deletes an important file without you ever noticing? And when you need the file you find out it has been deleted, with more than 25 days already passed on by? Spinbackup protects you from this scenario. 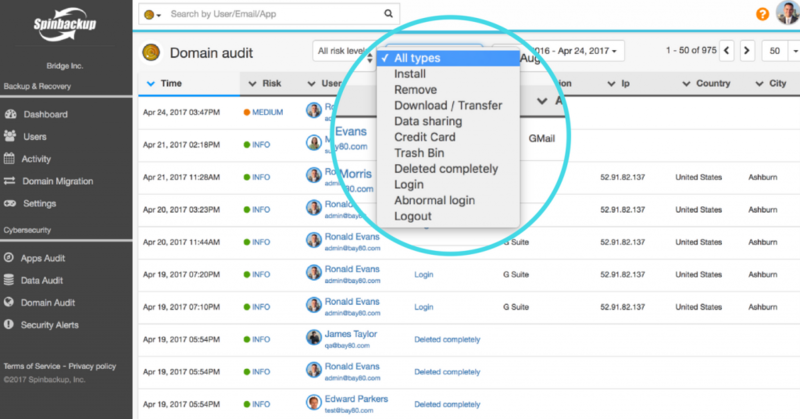 At your Spinbackup dashboard on the left, press the Domain Audit button. In the section, you can see the list of all employees’ activities. If you select the Trash Bin type, you will see the items deletion activities. If you select the Deleted completely type, you will see the permanent deletion activities. For both Trash bin and Deleted completely types, if you click the activity, you will see the detailed information about the deletion and the list of deleted files. If you want to restore some or all of them, press the corresponding checkboxes, and click Restore selected. The items will be restored to their owner’s account. Check the Restored by Spinbackup at… folder and enjoy the restored items. You can also see at a glance deleted and permanently deleted items in the user’s Google Drive backup interface. At your menu on the left, press Users. You will see a list of all your domain users who are subscribed to Spinbackup. Choose the name of a user you are interested in and click a Google Drive icon to the right. You will see the user’s Google Drive backup interface. If there are files that are moved to the Trash, they will be marked with a grey alert icon. If there are completely deleted files, they will be marked with a red alert icon. If these items are vital for your organization, restore them with a single click.